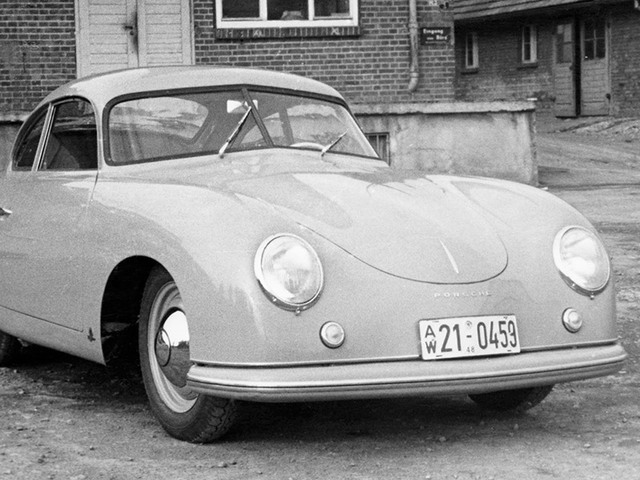 On 8 June 1948, the first car to bear the Porsche name was road-certified: the Porsche 356/1 Roadster produced in Gmünd (in Carinthia, Austria). 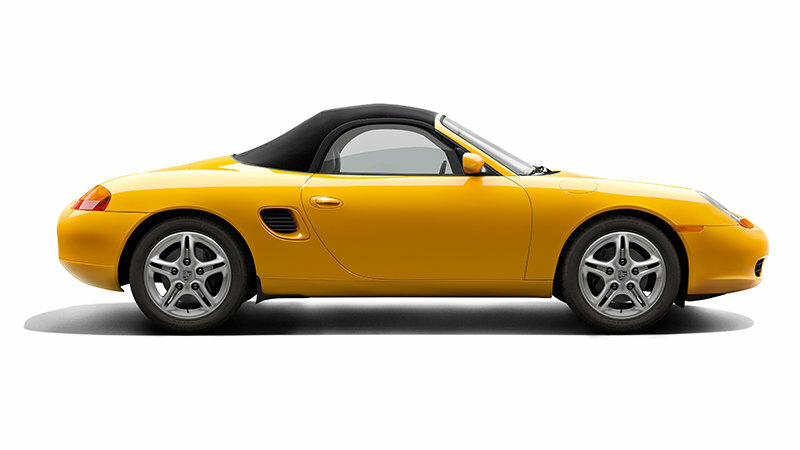 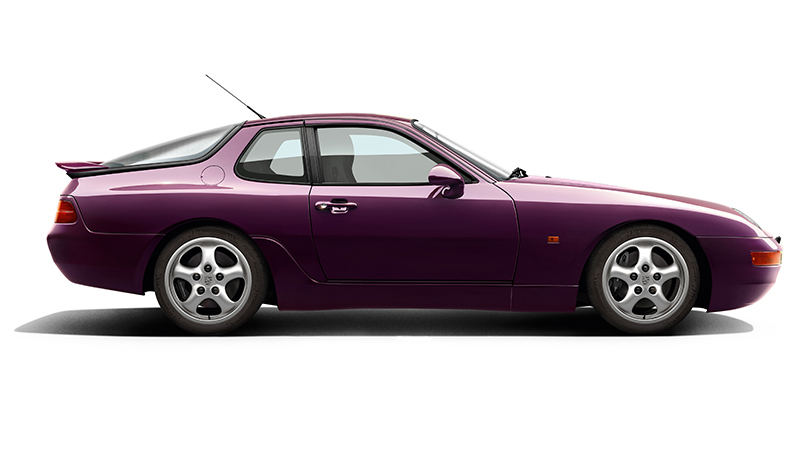 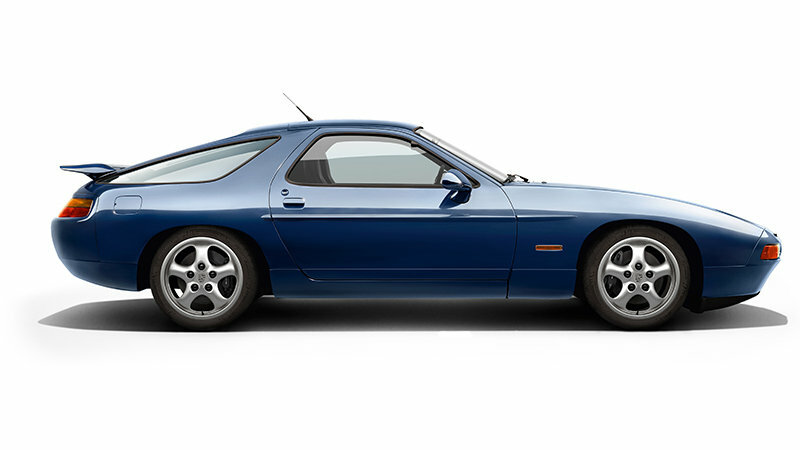 The "Gmünd Roadster" was powered by a 1.1-litre air-cooled flat-four engine from Volkswagen. 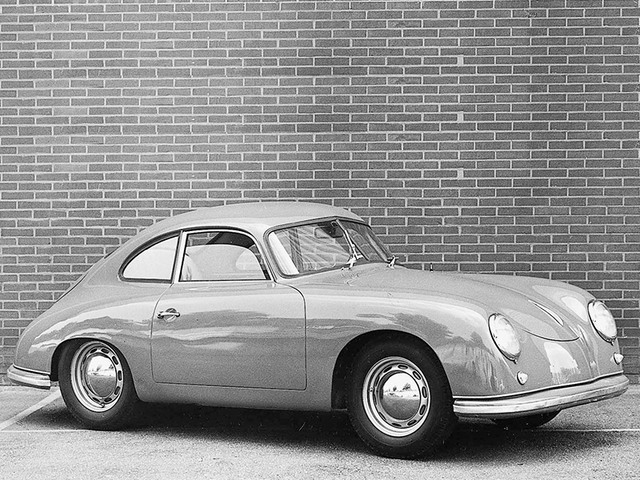 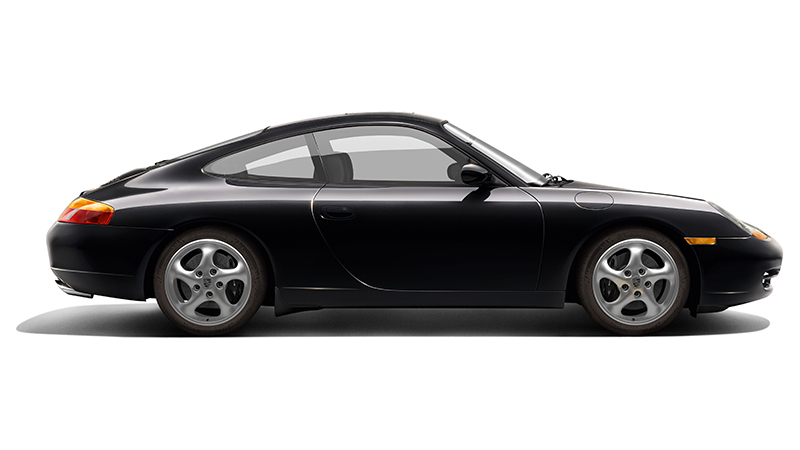 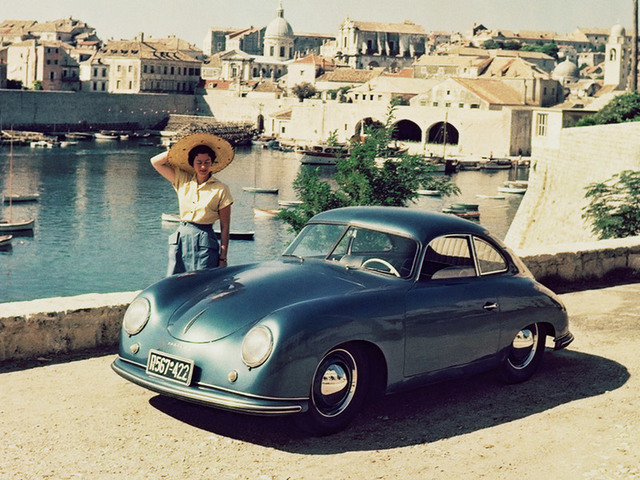 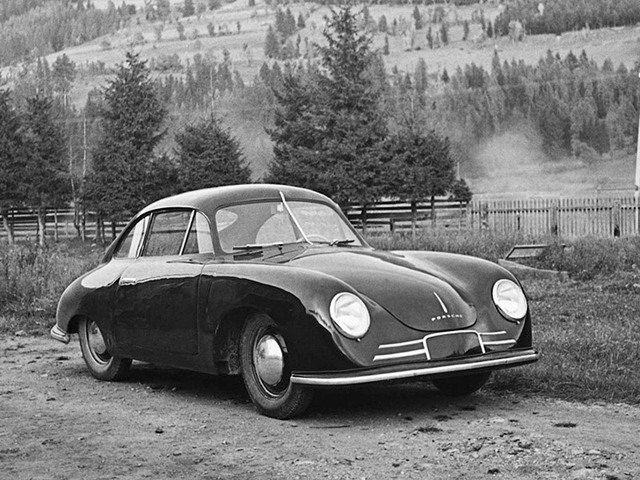 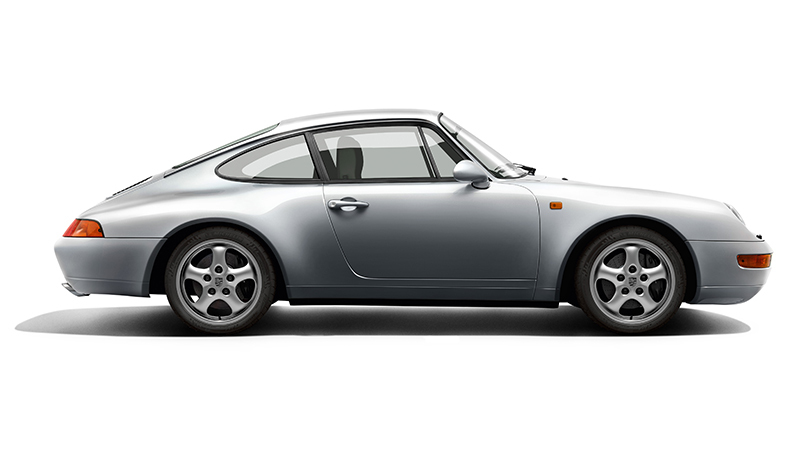 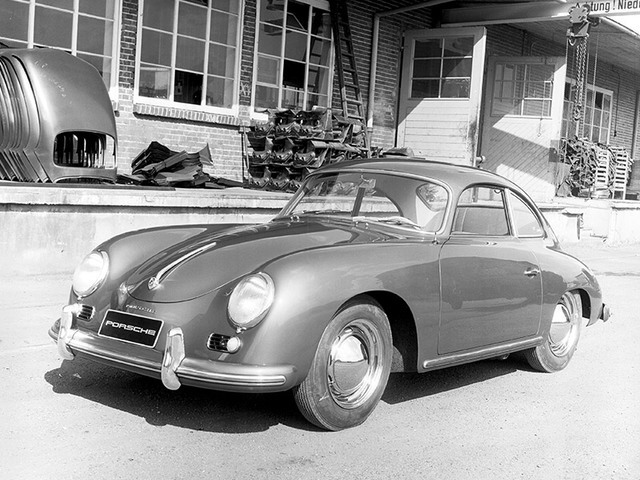 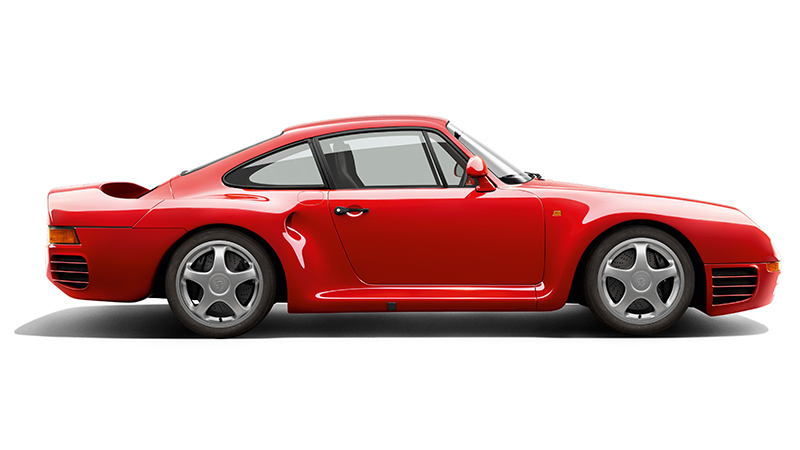 The engine's power was increased to 35 hp for the 356. 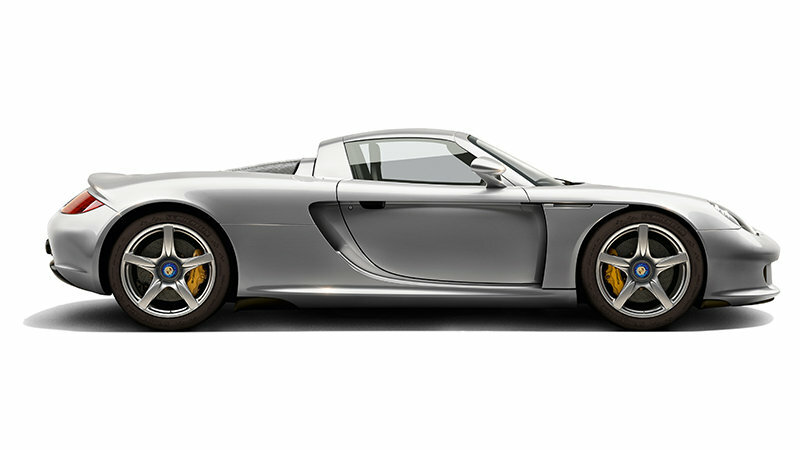 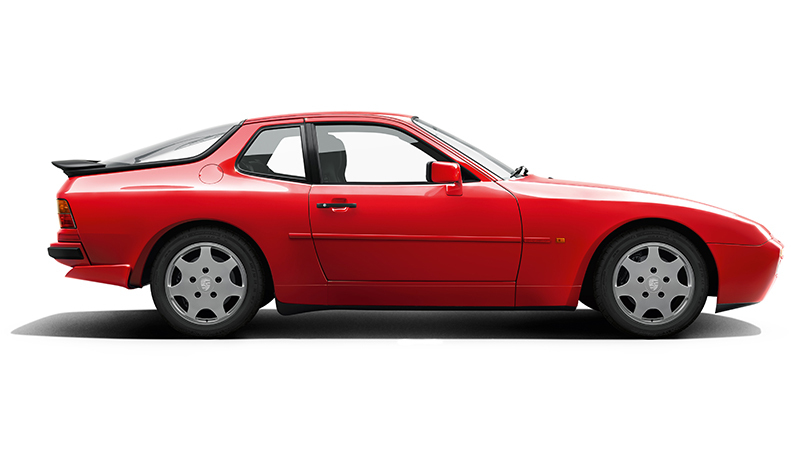 The roadster weighed just 585 kilograms and reached speeds of up to 135 km/h (83 mph). 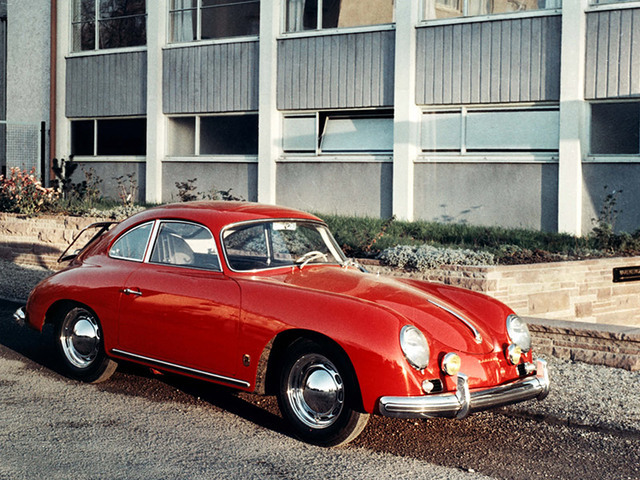 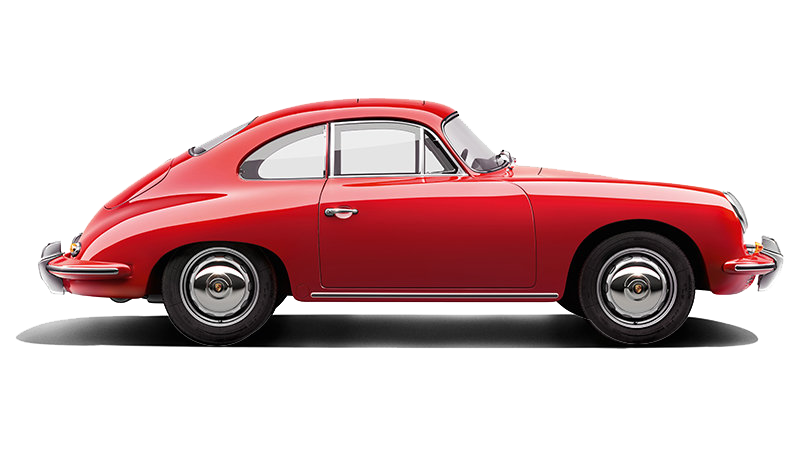 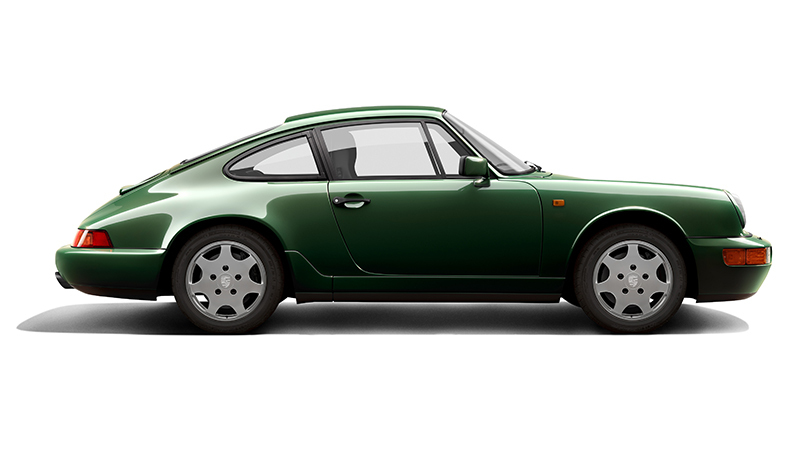 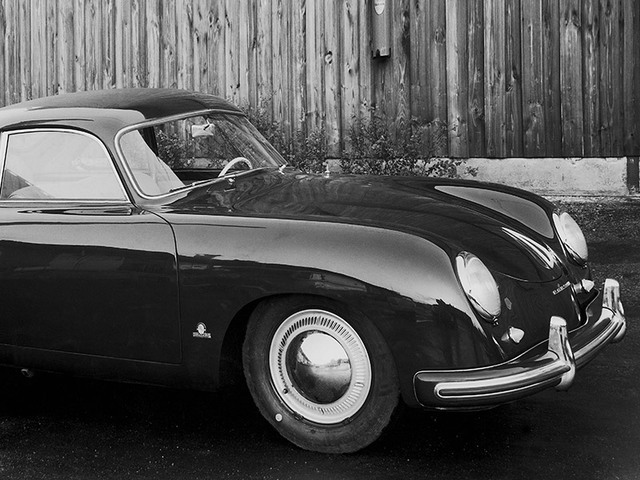 The original 356 (also called "pre-A" is easy to recognise from its two-piece windscreen divided by a centre bar. 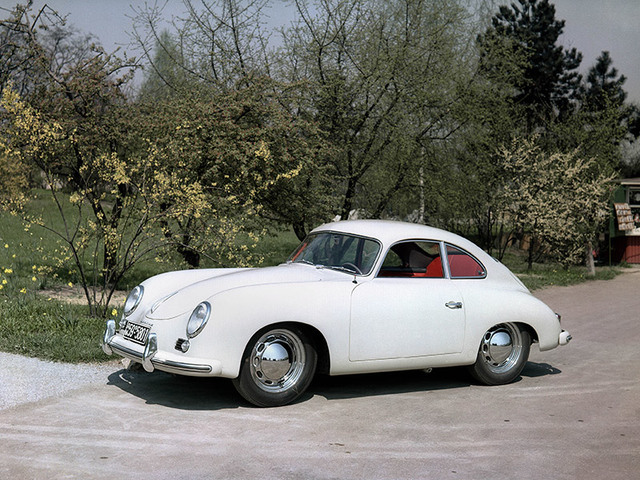 This was replaced by a single-piece windscreen with a centre bend as of model year 1952. 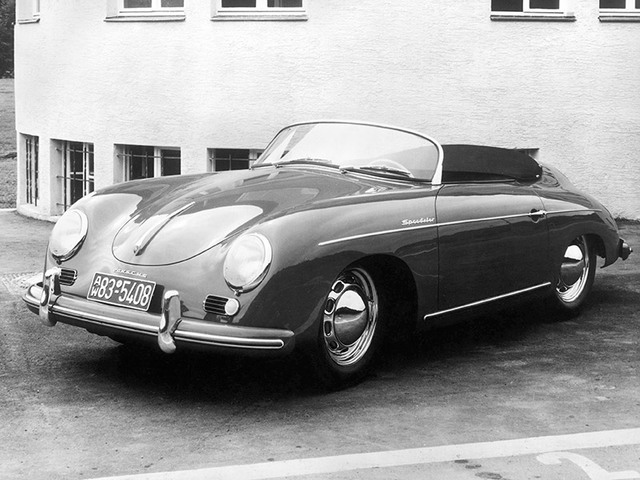 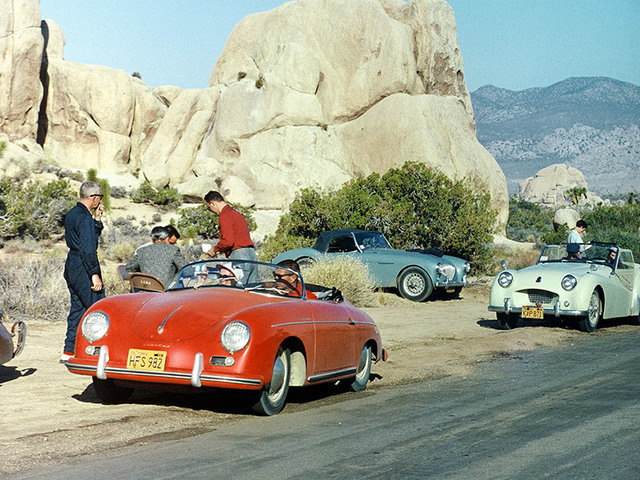 All 356 generations were also available in an open-top version (Cabriolet, Speedster or Roadster).